JANUARY 10: LAFIA, NASSARAWA STATE. JANUARY 26 : Benue State. 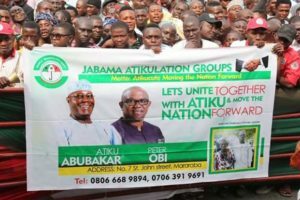 JANUARY 28: Cross River and Akwa Ibom. FEBRUARY 4: Yobe and Borno States. FEBRUARY 9: Abuja Mega Rally.